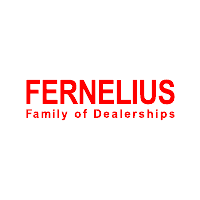 The finance staff at the Fernelius Auto Group invites car buyers from Cheboygan, Sault Sainte Marie and Petoskey, MI areas to apply for auto financing through our dealership group. Whether you are looking to drive a new Ford, Toyota, Chevrolet or Jeep, or a late-model used car, our team of auto finance specialists is here to assist you in making it happen! Here at Fernelius Auto Group, our in-house finance teams strive to find auto loan solutions for every one of our customers. We even work with drivers with low credit scores who may not be able to acquire financing through a traditional auto lender. If you have faced bankruptcy, repossession, foreclosure or divorce as of late, let us help you move past your financial setback with sub-prime auto loans. When you are ready to take the initial step toward driving off one of our Michigan dealership lots in a new or late-model vehicle, get pre-approved for auto financing via our secure credit application. Once our auto finance experts receive your loan application, we will work diligently to find financing solutions for you based on your credit score, financial history, available down payment and the vehicle you want to drive home. Start shopping for your new or pre-owned car and apply for financing through any one of the Fernelius Auto Group dealerships today!